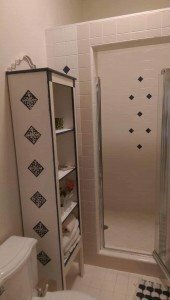 An upstairs Jack and Jill bath that opens onto two bedrooms. 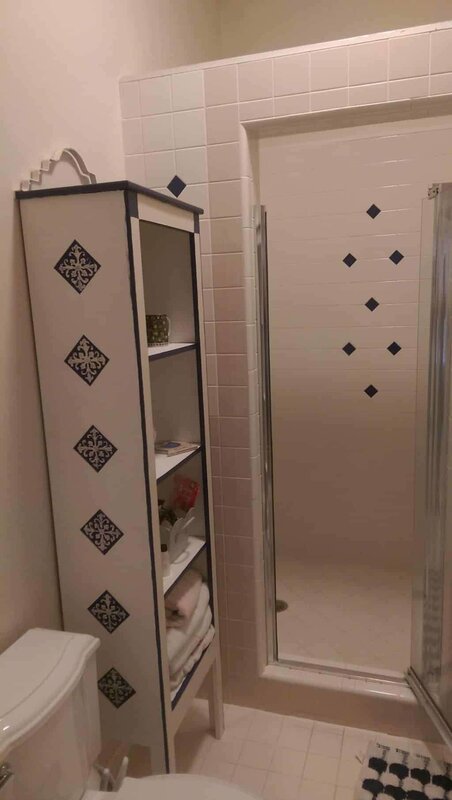 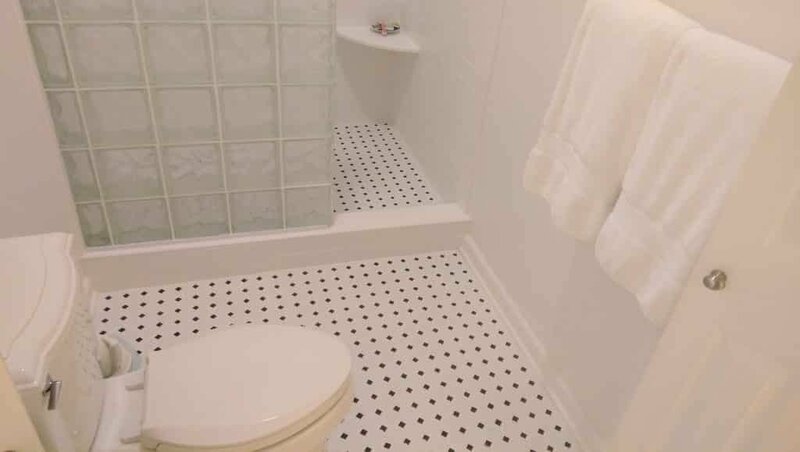 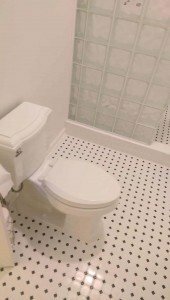 The goal for the homeowner was to update the look of the bath, replace the cracked floor tiles and open up the shower. 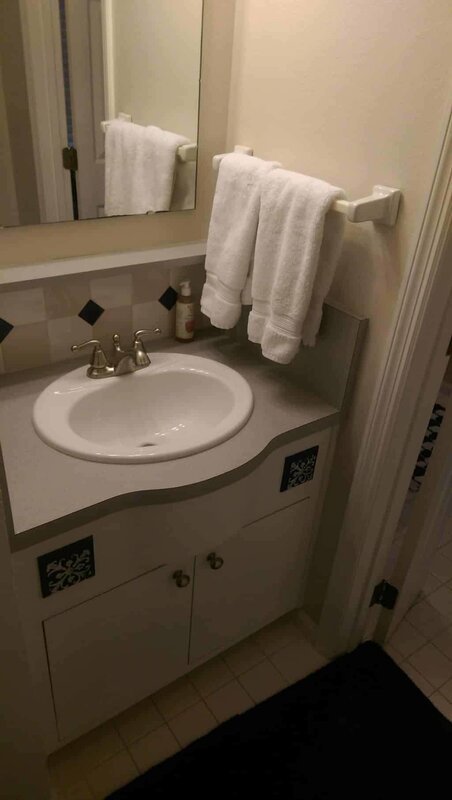 We removed everything from the bath but kept the vanities so they could be painted and replaced with new counter tops. 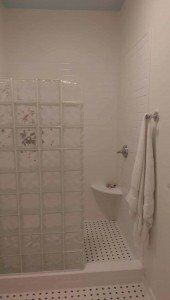 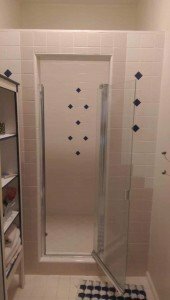 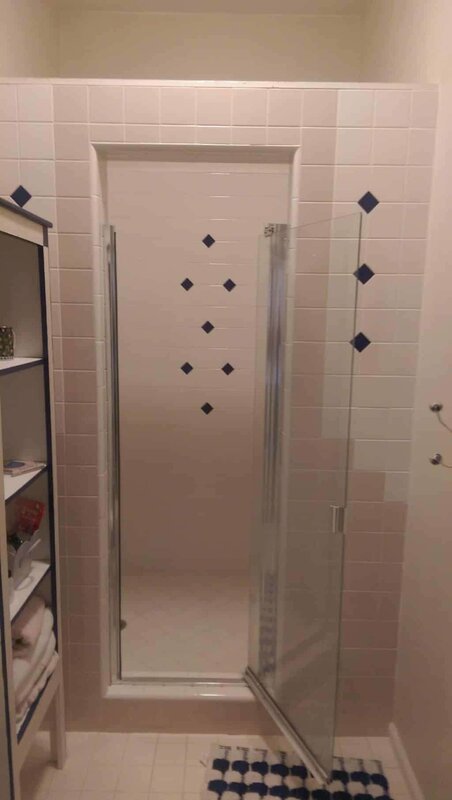 We also removed a wall in the shower and replaced it with a glass block wall. 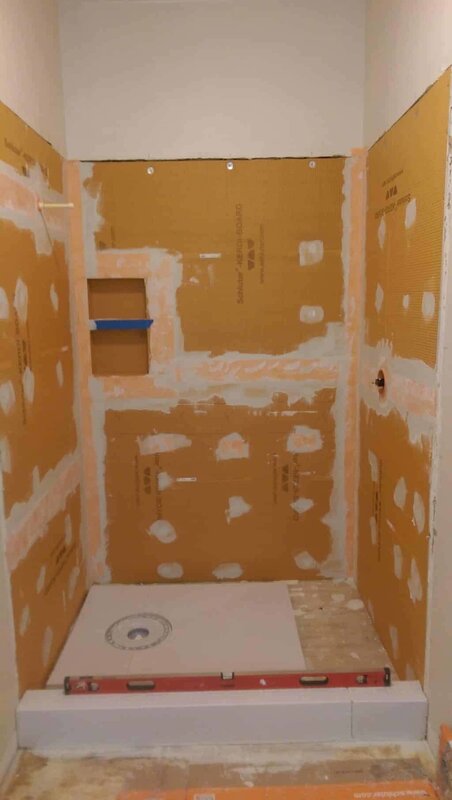 During the demo we discovered a second layer of flooring under the tile. 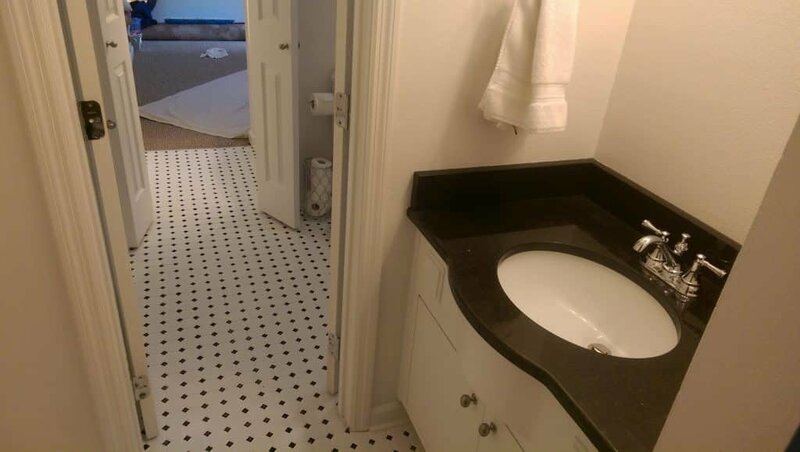 It was linoleum that a previous contractor had installed the tile over. 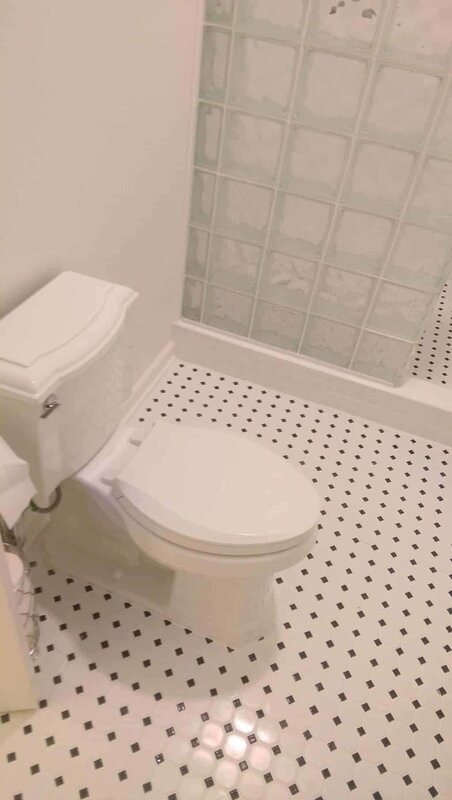 No wonder their tile was cracking! 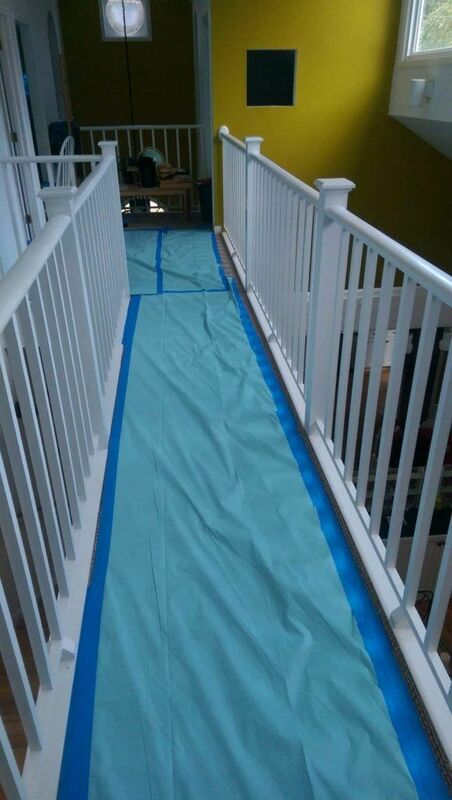 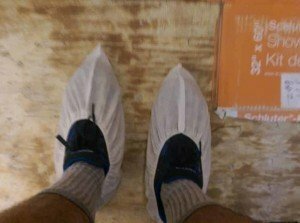 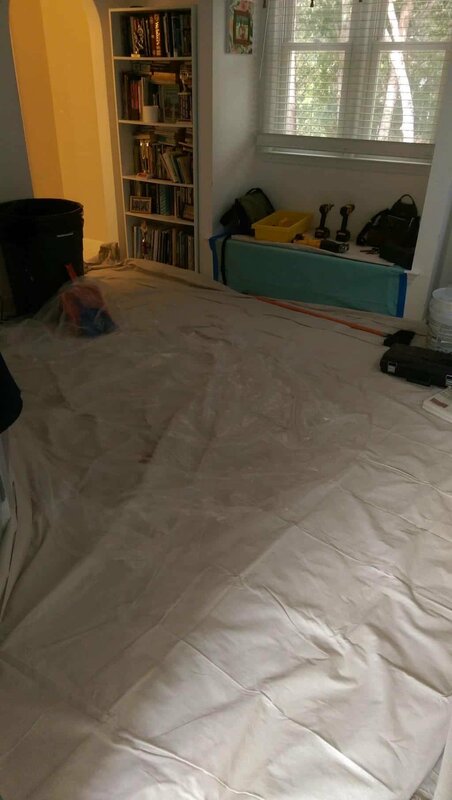 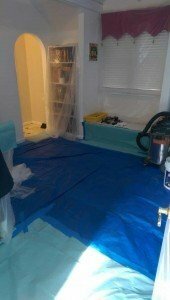 We removed both layers, installed a waterproof uncoupling membrane to prevent any cracking in the future and to protect the subfloor from water damage. 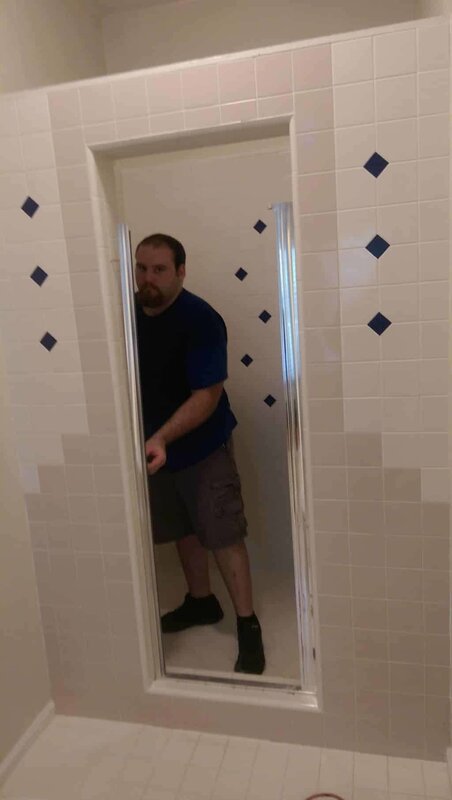 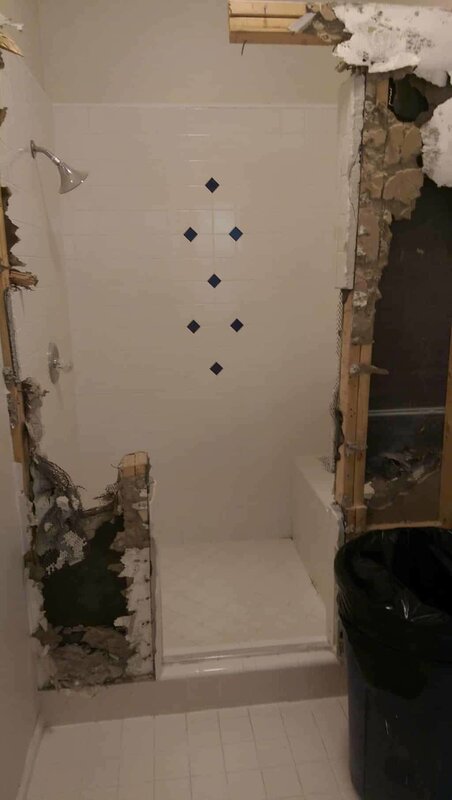 We had our plumber re-route the shower valve so the shower could be turned on from the outside, no one likes getting splashed with cold water when they first turn on the shower! 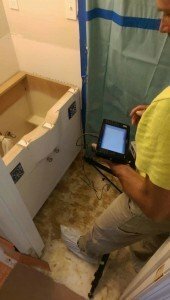 We also had our counter top installer come out and template the existing vanities with a digitizer. 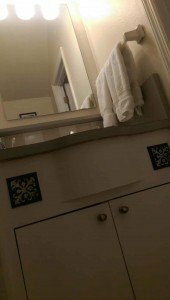 These vanities were custom made and had a unique curved front. The digitized captured the exact profile of the vanity so we know the counter will fit perfectly. 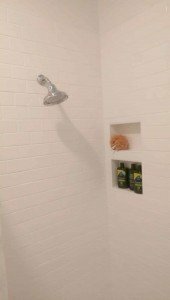 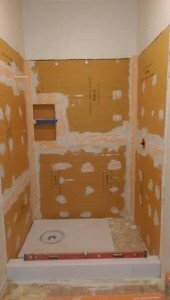 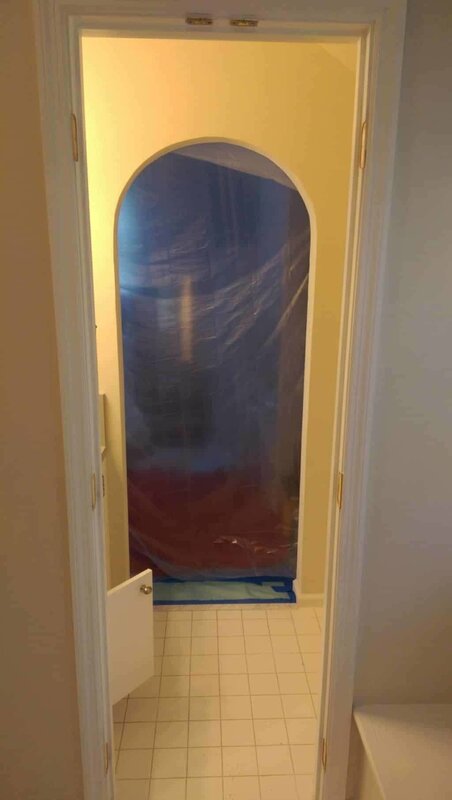 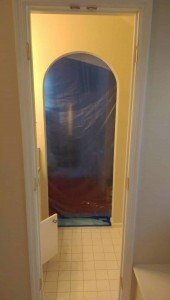 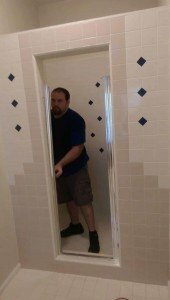 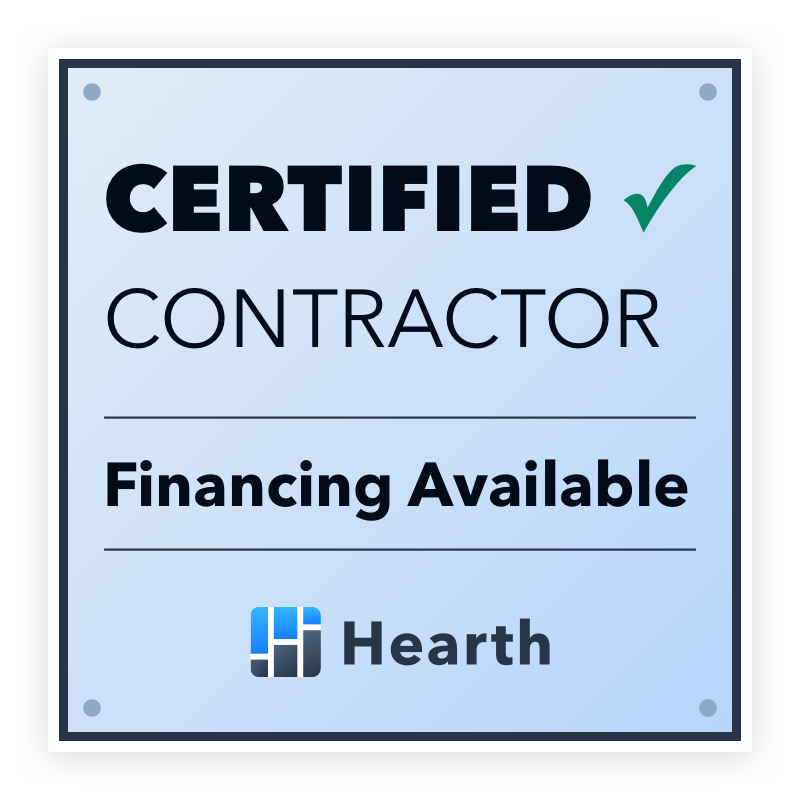 We rebuilt the shower making sure all the walls were plumb and square, installed a 12×18 shower niche and waterproofing all surfaces with kerdi membrane.